This man is a moron, there are other names to describe him and his cronies but moron sort of fits. Deploying troops? The U.S are as broke as the Ukraine you silly man. The Ukrainian Air Force 240th tactical aviation brigade based near Sevastopol has pledged allegiance to the authorities of Crimea. Rear admiral Denis Berezovsky, appointed as head of Ukraine’s Navy forces just two days ago, has sworn allegiance to the people of Crimea. Rick, this could get very, very bad. 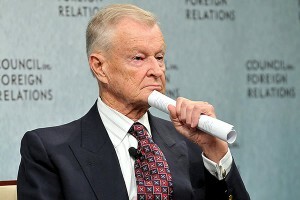 That’s exactly what Brzezinski wrote in The Grand Chessboard: American Primacy And Its Geostrategic Imperatives (1998). Why are people like this allowed to continue to influence policy? Has he not done enough harm in decades? Elliott Abrams is being paraded out to give similar advice- these people have no idea of law, humanity, commonsense, dignity, negotiations, and certainly not of “will of the people” or sovereignty, or hypocrisy as seen by John Kerry in his latest moronic speech. Go home and solve the huge problems of the Homeland, and leave the rest of us alone to live in peace. Zig Brzezinski was essentially the midwife to Osama Bin Laden in the late 1970s. And he was a mentor of the Predator Drone Prez, Barack Obama, at Columbia University. So his war threats are not surprising.